If you want to have a peace of mind when staying in a new room like dormitory when there are other people around, then you need to know a secure place that no one will find. However, if you hide your valuables under bed or mattress, you still will not feel calm about your expensive items. Taking them with you every time you go out is not convenient. If you thought of a safe, you are smart. 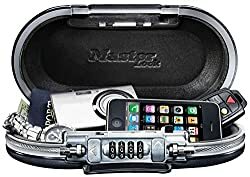 There are special safes for students and travelers who stay in dorm rooms and need protecting their valuables such as passports, money, credit cards, mobile phones, iPods, and other items. We have found 4 excellent safes at different prices that will become your reliable assistants while you are staying with other people. By purchasing one of dorm safes you will not have to worry about your expensive and important things even though dormitories are usually locked and armed with cameras. When it comes to safety, the best dorm safe is biometric. This very model is a costly purchase, however, it will guarantee that no one will break the lock and steal your valuables. 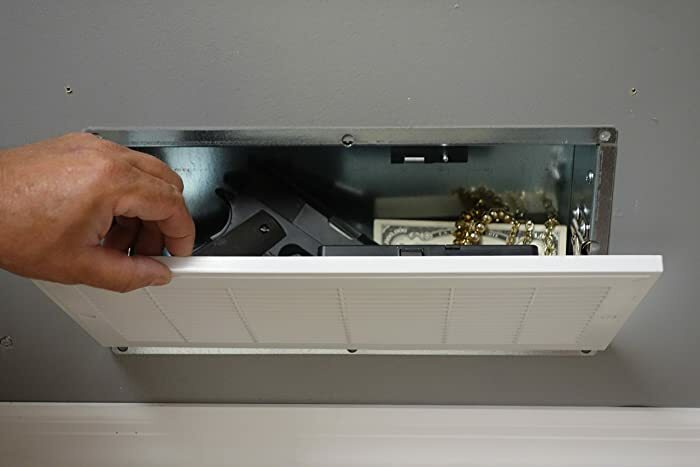 The safe provides a fast access via a fingerprint. There is no keypad, so no one will be able to play with your safe trying to get the lock combination. The safe provides not just a cheap sensor but a certified Fingerprint Sensor with 3D Imaging that is used by F.B.I. The product is made of solid steel and will work perfectly on 4 AA batteries. Great for traveling and living in a dormitory, very fast access, secure lock. Expensive. 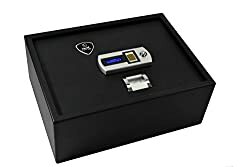 This product will become your reliable and best college dorm safe where you will be able to store your laptop, tablet, mobile phone, documents such as passport, jewelry, and other important items that you do not want everyone to see. 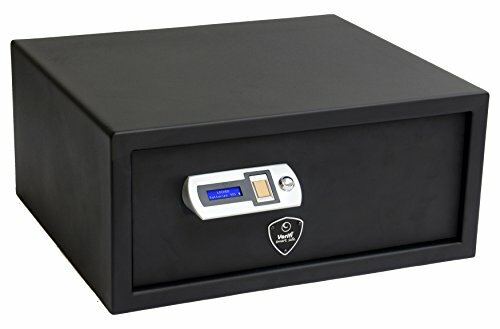 The safe is made of solid steel which is pry-resistant, has plate steel doors, steel live action locking bolts and concealed hinges that provide security for your valuables. It is really easy to use the safe when it comes to locking and unlocking it. The electronic lock has got a dashboard faceplate so you can view the status of your safe. When pressed a key, the key pad will “beep”. You can turn the sound off or on with the press of the megaphone button. You will have 3 attempts to unlock your safe, after failing 3 times, there will be a time out period. The safe comes with a backup key for cases if the batteries lose power or you forget a combination. 4 AA batteries for safe are already included. The product is best when used as college dorm safe because it protects valuables from looks and provides security due to a great lock. No. 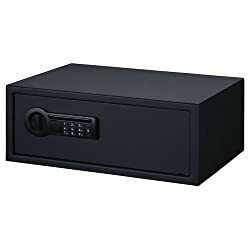 This is quite a costly purchase, however, if you want total dorm room security, then we would recommend you spending money on this reliable safe. It has got optical sensor biometric fingerprint Reader and digital keypad with LCD display which simplifies the whole process of unlocking your safe with valuable items inside. The safe is made of steel. To start using the safe, register at least one fingerprint and change the PIN. Warning beeps will notify you if a door is unlocked. You also get 2 keys for manual open. This is a great finding for college sand university students, as well s travelers who stay at a dormitory. Viking Security Safe is one of the famous safes’ manufacturer that protect customers’ valuables with the best quality and price in the market. One of the reliable safes, easy in use. No. This is a budget dorm room safe that will become your best friend. Although its low price, the safe is water-resistant and made of durable material. To start using the safe, store your valuable and set your own combination and remember ir. The safe’s interior design will protect your valuables from damage when you transport them. Do not worry about your valuables even when a safe falls. There is an ear bud/charging cable access port, so you can listen to music or charge devices without opening the safe. The item is really light so its weight will depend on how much stuff you stored. Its small size will allow you to take it with you even in your backpack. Place your mobile phone, credit card, money, coins, passport, iPod and have no worries about someone stealing them. 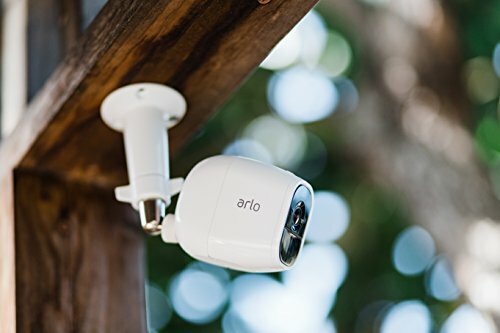 Low price, small size, lightweight, waterproof. There is not key for manual open. Choose the safe that meets your requirements and purposes. Think of how many thunks you will need to store and how much weight you will be able to carry in order to take a safe with you. For sure, with one of the above-mentioned safes, you will not have to worry about someone stealing your expensive thing like iPod or passport that will be a trouble to restore. Hi Robbert! Do you still use your 5900D mini safe?